It is replaced by the Citizen IDP-3240. 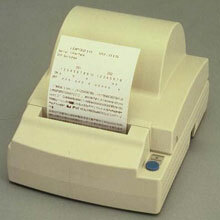 Compact printer for receipt, journal, coupon, ticket, daily report, kitchen, delivery and barcode applications. The iDP-3210 is a compact printer for receipt, journal, coupon, ticket, label, daily report, kitchen, delivery, and barcode applications.